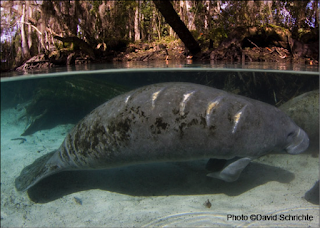 Sierra Club Florida News: Tell the US Fish & Wildlife Service: DON'T DOWNLIST THE MANATEE! Tell the US Fish & Wildlife Service: DON'T DOWNLIST THE MANATEE! US FWS Public Hearing in Orlando this Week — Saturday, February 20, 2016 at the Buena Vista Palace Convention Center, 1900 Buena Vista Drive, The Great Hall, Orlando, Florida, 32830. There will be an informational open house from 1:30 p.m. to 2:30 p.m. and a formal Public Hearing from 3 p.m. to 6 p.m. Recently, the U.S. Fish and Wildlife Service (FWS) proposed to reclassify (aka “downlist”) the West Indian manatee from endangered to threatened under the federal Endangered Species Act. Sierra Club Florida joins Save the Manatee Club in advising it is NOT appropriate to reclassify manatees at this time. The FWS has not made clear why it ought to downlist the entire species, since the agency's own 12-month finding reported "population trends are declining or unknown in 84 percent of the countries where manatees are found." The FWS should not move forward with downlisting Florida manatees without a proven, viable plan for further reducing mortality and preserving vital warm water habitat and establishing recovery benchmarks in an updated Recovery Plan. Weblink: read more about why Save the Manatee Club is opposed to reclassification at this time. 2 Electronically: Click the following SMC link to go to the Federal eRulemaking Portal http://www.regulations.gov and enter your comments. 4 Attend the public hearing on Saturday, February 20, 2016 at the Buena Vista Palace Convention Center, 1900 Buena Vista Drive, The Great Hall, Orlando, Florida, 32830. There will be an informational open house from 1:30 p.m. to 2:30 p.m. and a formal Public Hearing from 3 p.m. to 6 p.m.
5 Click the following link to get more information from the FWS, including FAQs and details on the types of information to include in public comments. 6 Please donate (not tax-deductible) to help Sierra Club Florida fight to keep manatee protections strong. Your help on this issue is vital to manatee protection! Thank you.